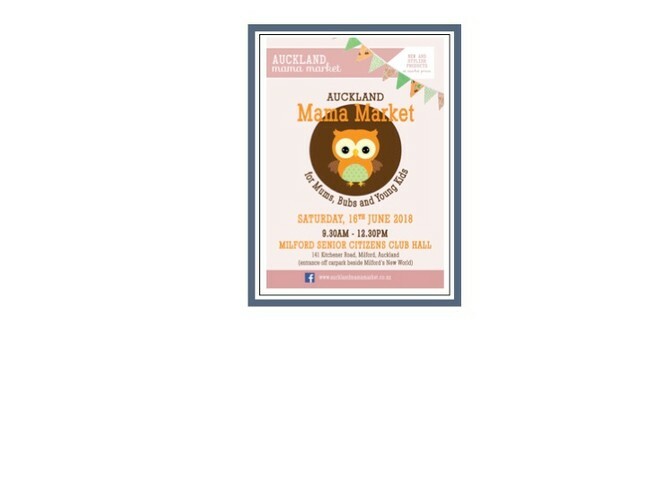 Auckland Mama Market is an exciting boutique market for Mums, Bub's and Young Kids showcasing products from small local businesses that are often different from what is sold in the main retail shops. With a wide range of stalls selling clothes, toys, must haves, gifts, practical items, fun activities and decorative items for your baby and young child and gifts, homewares and pampering products for Mum there is a great selection to choose from. Much of what is sold at our markets is made by the stallholders themselves or is carefully selected by them for inclusion in their product ranges. Our market is inside, entry is free, there is plenty of parking around the hall and cash out facilities are available. The Milford Senior Citizens Hall is conveniently located in the carpark beside New World (best carpark entry is from Kitchener Rd in the middle of the main Milford shopping street).